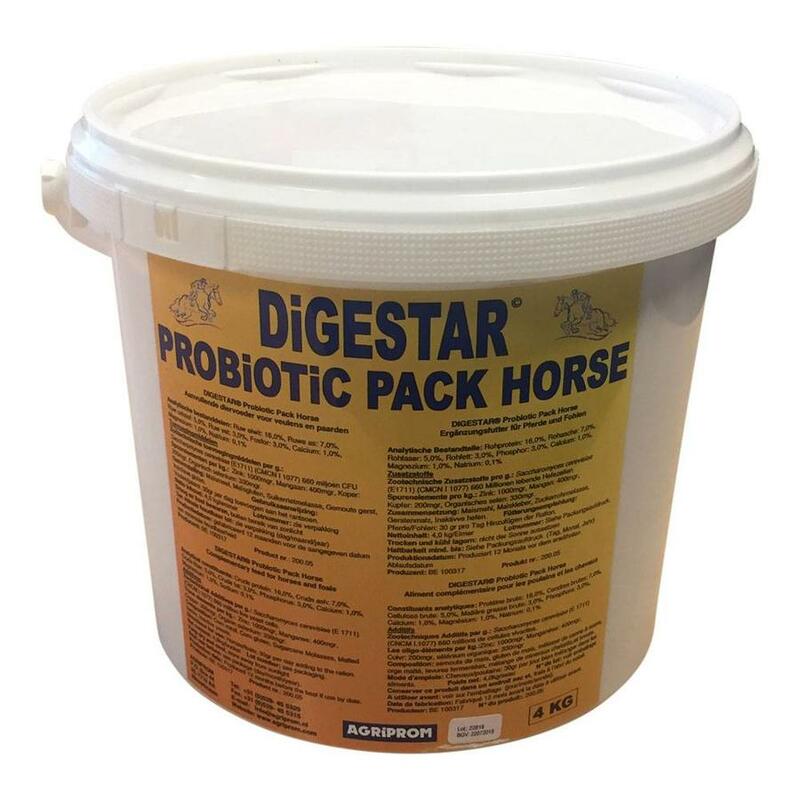 Digestar Probiotic Pack Horse provides a healthy digestion and a better nutrient absorption. Digestar Probiotic Pack Horse provides a healthy digestion and a better nutrient absorption. Horses absorp more energy from the feed. 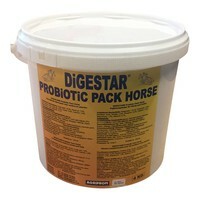 Your horse needs less grain and stays in better shape. A better yiest culture provides this by improving the energy absorption and digestion. Colic is a problem of the past! Specially developed for daily use. Yeast culture (Saccharomyces cerevisiae), rice hulls, calcium carbonate, extract from chicory, dried Aspergillus oryzae fermentation extract, dried Bacillus subtilis fermentation extract.